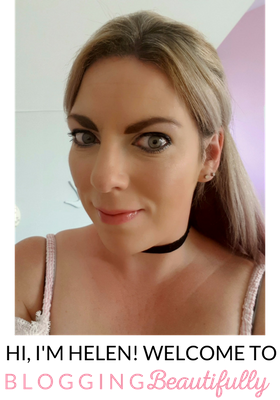 Blogging Beautifully: Me & My Sweet Tooth. I have a sweet tooth, have done since I was very young, I blame my Dad for this (sorry Dad I know you're always getting the blame for everything!). Sweets conjure up some lovely childhood memories for me, bizarrely one of my earliest memories is my Dad picking me up from nursery or pre-school (I think) and we would walk home past the little newsagent and he would treat to me a 10p mix, this was actually the time when you would get 10 sweets for a penny each, seriously how retro is that! I guess that's probably where my love of all things sweet stems from. 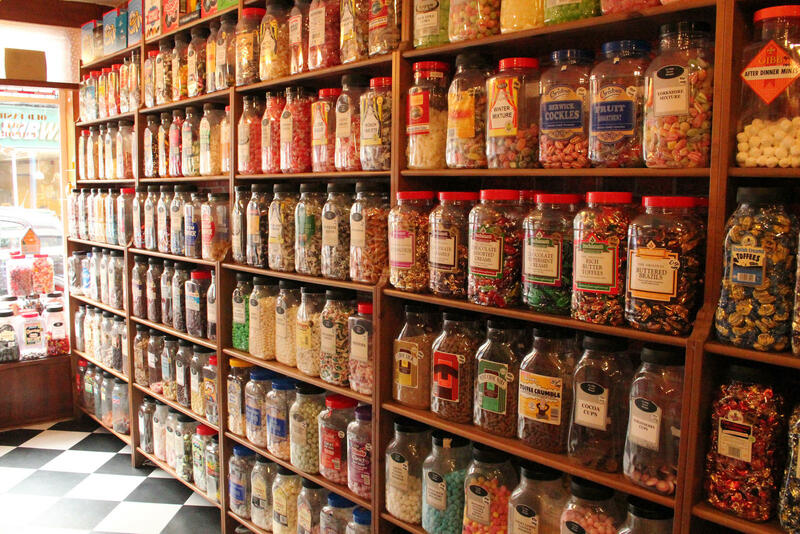 I honestly don't think you can beat a traditional sweet shop, the jars of jewelled, rainbow coloured delights, the glorious smell that wafts around you as you try to decide what sweets to choose and the little paper bag that gently rustles as you pick your sweets out to enjoy. Just fabulous. It brings out that child like quality that we possess. In fact I love the concept of a sweet shop so much that for our wedding I knew I wanted everyone else to experience that childhood delight of a pick n mix so had a company come and do it for us. A-ma-zing and alot of fun! Shopping for Alfie's party last week and frantically throwing loads of sweets in the trolley was great, but I do have a little confession to make, the marshmallow's that I chucked in , yeah those, they never made it to the buffet table. My bad. I am of course very aware that my love of all things sweet should not rub off on Alfie,and although he is allowed sweets they are restricted to 1 or 2 a day and it's on my terms! I'm not one to stop him having sweets completely as I think in moderation it's fine. This can sometimes be problematic if I want to have a cheeky sweet, I can sometimes be found in our cupboard under the stairs with the door shut having a nibble on a marshmallow, this is the truth!! I have been busted before by Alfie who then asks what I'm doing! I'm aware this makes me sound a tad loopy and I'm not often found hidden away in the cupboard like some sort of a mad woman, promise!! You know the other thing I love about these little pretties, they are so versatile! Use them in hot chocolate, bake with them, melt them or just enjoy them in their simplest form. Melted marshmallows make me go a little weak at the knee, that crispy exterior with the oozy, melty middle, oh my god. I've even made my own which taste incredible, you can see the recipe I used here. The humble marshmallow really is a little gem. With the weather being as cold and dreary as it has been I think marshmallows do a fabulous job of cheering everything up and Appleton Sweets have a mallows as well as a wide variety of other sweeties to turn that frown upside down, also with Valentine's just around the corner now is a great time to have a nosey at what they have on offer. So if anyone wants a marshmallow I'm your lady, there is always some available in this household! What is your sweet treat? Anyone else a mallow fan like me? I'm not a fan of marshmallows myself.. but I did smile at your picture of the old fashioned sweet shop. I love those places :) I remember a 10p mix meant you got 10 sweets.. more if there were half penny chews.. now I'm showing my age LOL! I have a major sweet tooth, and for me anything with fudge on it gets me! Totally with you on the toasted thing too, amazing. That sweetshop looks heavenly and marshmallows are a big favourite here. Ohh now I really really want to each some marshmallows.. YUM! Oh I'm with you on this! I just love picking them up and squashing them, and they feel so yummy in your mouth, but then...yeh you feel icky haha! Oh, funny marshmallows are the things that are always left in our house - neither me or the children are big fans. However the photos in the sweet shop look so appealing and so homely don't they? Glad you're indulging your passion! Oh wow look at all those sweets. I love marshmallows on hot chocolate! I love toasted marshmallows, but not so keen on "raw" ones. That shop looks like heaven! I'm also a huge fan of marshmallows! You just cant go wrong with them! I absolutely love marshmallows but as I'm veggie can't have them :( I really miss them and those photos are a little bit of torture!! I do love marshmallows and am loving the look of that sweet shop too!